Avian influenza (H5) is highly contagious infection of birds as well as humans which is zoonotic of significant economic and public health concern. From total 650 broilers sera were taken, around the five geographically distinct districts and analyzed through hemagglutination inhibition (HI) test for detection of H5 antibodies. Highest sero-prevalence of Avian Influenza (H5) was recorded in district Abbottabad 36.15% (47/130) followed by Dera Ismail Khan 33.08% (43/130), Tank 26.92% (35/130), Peshawar 21.54% (28/130) and Mansehra 16.92% (22/130). Statistical analysis confirmed a significant (P<0.05) difference of sero-prevalence between the districts. There was a significant (P<0.05) association of occurrence of the infection with the type of season, health status, vaccination, housing system, biosecurity and housing zones and non- significant (P>0.05) association with rearing system. To the best of our knowledge, this is the first sero-prevalence report of avian influenza (H5) in broilers in these districts of the province. Necessary measures are required to overcome the situation and improve vaccination and hygiene. AH, SUR and AA devised and supervised the study plan. AZ, AS and SU collected the samples and performed the laboratory work. AZ, SU and NU analyzed the data and drafted the article. Avian influenza, Broilers, Sero-prevalence, Risk factors, Pakistan. Avian influenza (H5) is a leading cause of mortality in birds around the globe thus ending up with an impact on public health and heavy economic loss up to 89% (Capua et al., 2000). The AI infection is common in wild birds in sub-clinical form and considered as a major source of death in commercial birds. The Orthomyxovirus (Orthomyxoviridae) is major cause of the infection (Huang et al., 2012). The virus has three genera (A, B and C) and divided into different subtypes based on the hemagglutinin (HA) and neuraminidase (NA) glycoproteins (Tong et al., 2013) which are categorised as low pathogenic AI (LPAI) or highly pathogenic AI (HPAI) viruses (World Organisation for Animal Health, 2009). Among various infections, only Influenza virus type A is of bird origin has been implicated in endemic infections and outbreaks in poultry (Malik, 2009). The H5 and H7 AI viruses are reported as HPAI, which are reported for outbreaks in many parts of the world (Kalthoff et al., 2010). Also AI virus is associated in human infections, signifying a threat linked to this virus (Lin et al., 2000). The AIV presenting a severe threat to public health is normally transmitted from birds to humans. In Japan (2003-2004) after influenza outbreaks, the investigations proved that causative virus was H5N1 strain and affected birds were raised as pets. However, route of infection and dissemination of virus still remained unclear (Mase et al., 2005). An analysis based on molecular detection revealed that H9N2 viruses are still potential infectious for mammals (Lee et al., 2016). Its high prevalence was observed in a recent study conducted in various regions of Pakistan (Abid et al., 2017). In Pakistan, five epidemic episodes of the infection have been reported and viruses of H7, H9 and H5 subtypes were primarily considered responsible for the infection (Naeem and Hussain, 1995). In one of such episodes in northern areas of Pakistan a high mortality (3.2 million) and decrease in egg production (10 to 75%) was recorded (Naeem et al., 2007). Likewise in another study, its prevalence was up to 48.7% in poultry workers that clearly depicts a critical situation regarding the zoonotic potential (Ahad et al., 2014). Since the poultry industry in Pakistan contributes upto 35% of the livestock net products (Naeem et al., 2007). A number of studies have reported its prevalence status in various parts of the country that are typically related to their geographical and seasonal parameters. In a recent study conducted in broilers in Quetta-Pakistan, a significant (P<0.05) high population was observed affected with H9 (Arif et al., 2015). Likewise in Faisalabad, the AI (H9) was detected from 9.4% of the study population (Shoaib et al., 2010). To the best of our knowledge, this is assumed to be the first sero-prevalence report on broilers, of avian influenza (H5) in the five districts of Khyber Pakhtunkhwa-Pakistan. Keeping in view the significance of avian influenza, current project was designed to study the status of sero-prevalence of AI in five major districts of Khyber Pakhtunkhwa with recognition of association of possible risk factors. In present study, five districts of Khyber Pakhtunkhwa were selected namely D.I. Khan, Tank, Mansehra, Abbottabad and Peshawar. The blood samples were randomly collected in winter and summer from 1650 birds to detect avian influenza by Hemagglutination Inhibition (HI) test through the titration of AI virus type H5 (OIE, 2009). Table I.- Sero-prevalence of avian influenza (H5) in broilers in five districts of Khyber Pakhtunkhwa, Pakistan. Blood samples were collected in the EDTA coated vacutainers tubes from wing vein of commercial broilers by using a disposable sterile syringe. The contents of the vacutainers tube were mixed by gentle tapering to avoid rupture of suspended erythrocytes. The samples were then brought to laboratory of Department of Biological Sciences, Gomal University, D.I. Khan in cold conditions for serum separation. The serum samples were then stored at −20°C in low temperature freezer for further use. All serum samples were analysed quantitatively with known antigen H5 (control positive) obtained from Poultry Research Institute (PRI) Rawalpindi-Pakistan by Hemagglutination Inhibition (HI) test to check the prevalence of Avian Influenza (OIE, 2009; Allan et al., 1974). Statistical comparison between variables of various factors was examined by Chi-square test. A P-value of 0.05 was assessed to specify statistical signiﬁcance. Data analysis was carried out using SPSS 20 (IBM, Armonk, NY, USA). Out of total 650 samples, maximum had antibody titer at 1:4 and minimum at 1:32 whereas none of the samples had the titer above 32. In current study, overall sero-prevalence of avian influenza (H5) in five ecologically different districts of Khyber Pakhtunkhwa-Pakistan was 33.08%, 26.92%, 36.15%, 16.92% and 21.54% in Dera Ismail Khan, Tank, Abbottabad, Mansehra and Peshawar, respectively. Statistical analysis through chi-square test revealed a significant (P< 0.05) difference of sero-prevalence of the infection among the studied districts. It confirms significant (P<0.05) highest sero-prevalence of the infection in Abbottabad (36.15%) and lowest in Mansehra (16.92%) (Table I). The current study also highlighted the association of various factors with the sero-prevalence of avian influenza (H5) in broilers. Season directly affects the occurrence of avian influenza in broilers. In summer (14.46%), lower cases of avian influenza (H5) were observed as compared to winter (39.38%). Statistical analysis showed a significant (P< 0.05) difference between these seasons. Maximum sero-prevalence was observed in sick broilers (37.11%) and minimum in healthy ones (22.59%). Statistically there was a significant (P< 0.05) difference between them. Vaccination at appropriate time has significantly impact on prevention of the infection. In this study we observed considerable lower sero-prevalence in vaccinated broilers (6.15%) and higher in non-vaccinated (47.69%). Statistical analysis confirmed a significant (P< 0.05) difference between these two groups. Next housing system severely affects the occurrence of avian influenza (H5) in broilers. Maximum sero-prevalence of the infection was observed in close housing system (32.74%), as compared to open (20.70%). Significant (P< 0.05) difference between them denoted a considerable association with sero-prevalence of the infection in broilers (Table II). Table II.- Association of various risk factors with the sero-prevalence of avian influenza (H5). Rearing system was another key factor for occurrence of the infection in broilers. Maximum cases of the infection were observed in the flock reared in cages (30.12%) as compared to ones kept on floor (23.78%). But statistical analysis revealed a non-significant (P > 0.05) difference between them by confirming non-significant association of the sero-prevalence with rearing system. Bio-security plays a chief role in prevention of the infection in broilers. The sero-prevalence of the infection was minimum in the birds which were reared in appropriate bio-security (7.21%) as compared to ones where it was absent (45.92%). A significant (P< 0.05) difference between them revealed a marked association of the infection with the biosecuirty measures. Housing zones was observed as a magnetic factor associated with the sero-prevalence of the infection in the birds. A lowest sero-prevalence of the infection was observed in the birds near to vent area (16.07%) and highest in ones kept in middle area (42.44%). Statistical analysis revealed a significant difference (P< 0.05) of sero-prevalence among these variant housing zones, thus presented a marked association of the housing zone with the occurrence of the avian influenza (H5) (Table II). Avian influenza (H5) is highly pathogenic infection of the birds as well as humans. Due to direct and frequent exposure to chickens, poultry workers remain at high risk to the infection (Monne et al., 2013; Capua and Catolli, 2013; Turner et al., 2017). A number of factors directly influence the occurrence of the infection. These factors include season, location, specie, vaccine failure due to improper storage conditions, immune status, unsatisfactory hygienic conditions, poor supply of clean and fresh water, lack of booster administration, overcrowded stress, harsh climatic conditions. These factors potentiate the occurrence of the infection (H5) in poultry (Le et al., 2013; Chang et al., 2014). The current study was planned with the investigation of certain factors that directly or indirectly influence the occurrence of avian influenza (H5) in the broilers. The location wise significant (P< 0.05) variation in present study is in line with the conclusions of Fatima et al. (2017) who studied it in five districts (Mansehra, Haripur, Abbottabad, Islamabad and Rawalpindi) of Pakistan. The study confirmed significant (P< 0.05) highest sero-prevalence of the infection in Abbottabad and lowest in Mansehra. This location wise difference in sero-prevalence of the infection was also endorsed by a number of studies conducted aboard (Aly et al., 2008; Sun et al., 2014; Osman et al., 2015). Our results exposed maximum sero-prevalence of the infection in broilers in winter as compared to summer. The significant (P< 0.05) higher variation in both seasons is in line with the findings of Turner et al. (2017). This highest sero-prevalence in winter might be due to lower temperature and humidity conditions which not only enhance the survival rates of the virus but also its transmission (Fatima et al., 2017). In current study significant (P< 0.05) maximum sero-prevalence of the virus was observed in sick broilers as compared to healthy. It might be due to maximum infection of the sick broilers with Influenza virus (H5). The findings are contrary to the conclusions of Turner et al. (2017) which might be due to his smaller and uneven sample size from the sick birds. The vaccination has a key effect on prevention and control of the infection. The vaccinated broilers have specific antibodies which fight against the virus antigens, thus diminishes its consequences (Capua and Catolli, 2013). Significant (P< 0.05) lower sero-prevalence in vaccinated broilers is in line with the conclusions of a numbers of recent past studies (Monne et al., 2013; Capua and Catolli, 2013). It was revealed through the current study that broilers kept in close type of housing system were more positive for the infection as compared to kept in open housing system. It might be due to the soggy and humid conditions of the close housing system that favours the escalation of the infectious agents. The findings are endorsed by Monne et al. (2013) and Akhter et al. (2017). Different rearing systems influence severely on the occurrence of the infection in broilers. In current study, a highest number of positive cases were observed in broilers kept in farms provided with floor as compared to ones with cages but statistically there was non-significant (P< 0.05) difference. It means that propagation and dissemination of the virus is not affected by the type of rearing system. The findings are in line with the conclusions of Turner et al. (2017). The significant (P < 0.05) lower sero-prevalence of the infection in the broilers reared in appropriate biosecurity emphasis on the importance of biosecurity. This lowest sero-prevalence might be due to provision of virus free environment provided to the broilers through appropriate biosecurity measures. The finding is in line with the conclusions of Capua and Catolli (2013). In present study, a significant (P< 0.05) highest sero-prevalence of the infection observed in the broilers reared at middle area might be due to damp and stagnant air where the conditions of temperature and humidity are optimum for invading the birds and production of the infection. A significant (P< 0.05) lowest sero-prevalence of the infection in the birds reared at vent area might be due to availability of fresh air which provided little appropriate conditions for viral growth and induction of the infection. The study highlights different factors associated with the sero-prevalence of avian influenza in Khyber Pakhtunkhwa, Pakistan. The current research confirms an evidence of association of the factors (i.e. season, vaccination status, housing system, rearing system, biosecurity and housing zones) with the sero-prevalence of the infection. Negligence of these factors would secure its occurrence. Hence by focus on appropriate management in specific seasons, housing system, rearing system and biosecurity measures may lessen the cases of avian influenza (H5). We are grateful to Department of Biological Sciences, Faculty of Veterinary and Animal Sciences, Gomal University, Dera Ismail Khan and Institute of Microbiology, Agriculture University of Faisalabad for financial and technical support for completing the project. Authors confirm no conflict of interest concerning article publication. Abid, M., Yaqub, T., Mehboob, A and Shabbir, M.Z., 2017. 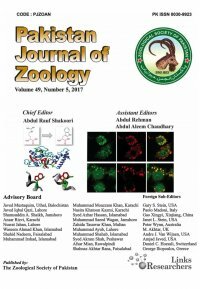 Characterization and phylogenetic analysis of avian influenza virus subtype H9N2 in Pakistan. Hosts Viruses, 4: 62-69. Allan, G.W.H., Lancaster, J.E. and Toth, B., 1974. Newcastle disease vaccine, their production and use. Animal Production and Health Series-10, FAO, United Nations, Rome, pp. 57-62. Aly, M., Arafa, A. and Hassan, M., 2008. Epidemiological findings of outbreaks of disease caused by highly pathogenic H5N1 avain influenza virus in poultry in Egypt during 2006. Avian Dis., 52:269–277. Arif, M., Rind, R.U., Shah, M.G., Nisha, A.R., Umer M., Kaka, U. and Zaman, A., 2015. Seroprevalence of avian influenza in broilers of District Quetta, Balochistan, Pakistan. J. Chem. Pharm. Res., 7: 1378-1384. Capua, I., Mutinelli, F., Terregino, C., Cattoli, G., Manvell, R.J. and Burlini, F., 2000. Highly pathogenic avian influenza (H7N1) in ostriches farmed in Italy. Vet. Rec., 146: 356. Fatima, Z., Khan, M.A., Ahmad, M.U.D., Muhammad, K., Khwaja, K.N., Khan, A., Anwar, Z., Ahad, A. and Mahmood, A., 2017. 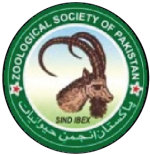 Cross sectional survey of live bird markets, and zoo birds for circulating influenza subtypes in Pakistan. Pak. Vet. J., 37: 185-189. Akhter, H., Bilal, A., Naveed, S., Tanzeela, F., Muhammad, U. and Muhammad, H.R., 2017. Molecular and serological detection of avian influenza H9N2 virus in asymptomatic commercial layers in Faisalabad District, Punjab. Pakistan J. Zool., 49: 395-398. Le, M.Q., Horby, P., Fox, A., Nguyen, H.T., Le, N.H.K., Phuong, M.V., Hoang, K.C., Nguyen, M.D., de J Rienk, E.J., Rogier, H.D., Jeremy, F. and Heiman, F.L., 2013. Subclinical avian influenza A (H5N1) virus infection in human, Vietnam. Emerg. Infect. Dis., 19: 1674-1677. Malik, P.J.S., 2009. Avian influenza viruses in human. Rev. Sci. Tech., 28: 161-171. Sastry, C.A., 1976. Veterinary clinical pathology, 1st edition. C.B.S Publishers and Distributors. Sohaib, M., Siddique, M., Muhammad, M., Rabbani, M., Altaf, M. and Hanif, H., 2010. Prevalence of avian influenza virus (H5) in poultry layer flocks in and around Faisalabad, Punjab, Pakistan. Pakistan J. Zool., 42: 325-329. Sun, L.S., Wang, Z.Y., Ning, M.L., Hong, Y., Zheng, S.Y., He, L.Q., Tu, G., Lu, H.T., Li, H., Wang, W.B., Qi, L., Yuan, G. and Li, S.J., 2014. Lack of evidence of avian-to-cat transmission of avian H5 subtype influenza virus among cats in Southern China. Pak. Vet. J., 34: 535-537.